This summer I got a small paid gig illustrating comic books for The Story Collider, a podcast and online magazine that collects audio stories about how science has effected people's lives. 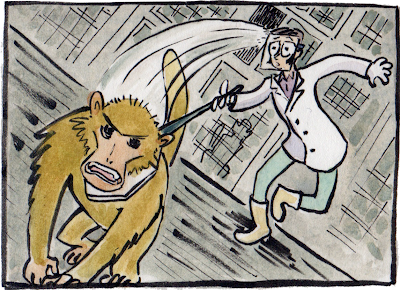 My second comic, Inside the Monkey Lab went online in October. "Guy Schaffer wanted to understand the brain, but the only job he could find was in a monkey lab — a lab where a monkey attack led to a deeper set of crises."